Seventeen companies have now applied to the Federal Aviation Administration (FAA) for permission to use unmanned aerial vehicles (UAVs) for services that range from filmmaking and photography to oil flare stack monitoring, package delivery and real estate marketing. The firms are filing under Section 333, a provision of the FAA Modernization and Reform Act of 2012 that allows the commercial operation of UAVs in limited situations considered to be generally safe. The agency finalized the application process just a few months ago, kicking off a race for customers that started May 27 when Astraeus Aerial became the first of a group of seven enterprises to file. Those seven coordinated applications are seeking permission to use unmanned aerial systems (UASs) for filming on closed movie sets. Just three days after the filming companies submitted their petitions, Trimble Navigation Limited applied to the FAA for permission to operate its tiny UX5, an unmanned aircraft with a foam structure, to carry out precision aerial surveys. The 16.1 MP camera in the UX5, which can capture data at a resolution of 2.4 centimeters, would be used to produce precision digital point clouds, triangulated models, and contour maps. Such work is normally done with conventional aircraft and shifting to the lightweight UX5 would not only be safer but would enable the work to be done at a fraction of the cost with less environmental impact, the firm argued. Woolpert, Inc., a 103 year-old design, geospatial and infrastructure management firm based in Dayton, Ohio, has been using conventional aircraft to do such mapping. It has applied to use a Altavian Nova Block III UAS, which weights just 15 pounds, to perform aerial surveying in rural Ohio and to undertake a survey of Ship Island off the coast of Mississippi for the Department of the Interior. The other firms in the group of film-makers, whose applications were submitted by Jonathan Hill of the law firm Cooley LLC and John McGraw of John McGraw Aerospace Consulting, are Aerial MOB, Flying-Cam, HeliVideo Productions, Pictorvision, RC Pro Productions and Snaproll Media. The coordinated applications are identical, explained Ben Gielow, general counsel and senior government relations manager for the Association for Unmanned Vehicle Systems International (AUVSI); so, only one summary was published for comment — a process all of the applicants must go through. Among the points made by Hill and McGraw is that using unmanned aerial vehicles (UAVs) for filming would actually be safer than the current practice of using full-sized aircraft. 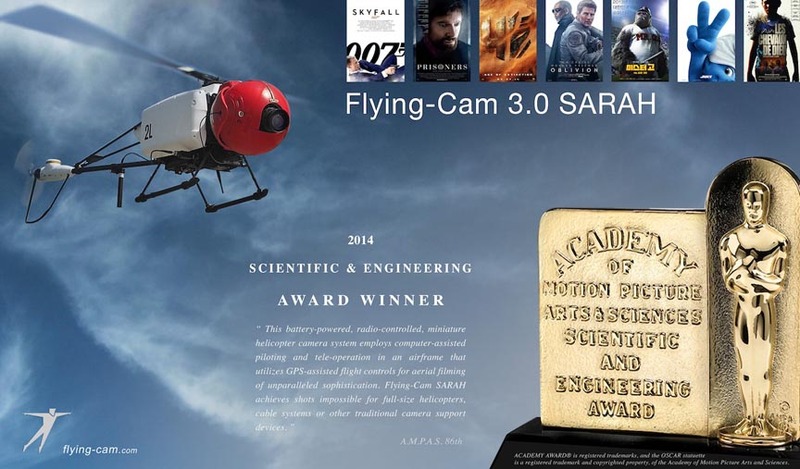 Each UAS is carried to the film set and not flown, the applications point out. Given that the “lightweight aircraft operate at slow speeds, close to the ground, and in a sterile environment” they are “far safer than conventional operations conducted with turbine helicopters operating in close proximity to the ground and people.” As such they will provide an “equivalent level of safety,” the application asserts, which supports the grant of the firms’ requests to operate commercially – something that is prohibited while the FAA works to devise flight safety rules — a task that is expected to be handled in stages with the first set of rules unlikely to be ready for at least another two years. Seattle, Washington, which is seeking permission to operate small rotorcraft to help the City of SeaTac document an ongoing highway project as part of a video project to promote the need for additional highway funding. Burnz Eye View of Encinitas, California, is seeking approval for aerial photography and inspection services. Realtor Douglas Trudeau wants to use a UAS to augment real estate listings in the Tucson area with videos. VDIS Global wants to conduct flare stack inspections for Shell Oil Company in the Gulf of Mexico. New Orleans-based CAVU Media LLC hopes to join the firms offering aerial photography to the film industry as does AeroCine, LLC of New York. AeroCine, which has significant experience operating overseas, would also like to develop protocols and new aircraft to support law enforcement personnel and first responders. Yamaha is aiming for a rural clientele. It hopes to use the RMAX remotely piloted helicopter to provide agricultural related services in the U.S. The 9-foot RMAX weighs 141 lbs. dry weight, and has been operated for over 20 years in Japan, Australia, and other countries. Though it can fly as fast as 45 mph, it is generally flown at speeds of 12 mph or less when it is being used to water crops or distribute fertilizers, pesticides, and herbicides in the fields. The RMAX can also be equipped with sensors and equipment to monitor crops for pest problems or water stress. Advanced Aviation Solutions LLC of Spokane, Wash., is also hoping to reach out to the agricultural customers. It wants to use the eBee Ag Unmanned Aircraft System manufactured by SenseFly SA of Switzerland to offer precision photogrammetry to support planting decisions and the determination of where fertilizer and chemicals should be applied. Perhaps the highest profile application is from a firm that is not yet ready to begin operations but instead is looking for permission to do development. Amazon filed on July 9 to be allowed to do outdoor flight testing at its Seattle facility in support of Prime Air, its highly publicized plan to deliver packages to its customers in 30 minutes or less using UAS, more commonly referred to as drones. As envisioned by Amazon, the UASs would transport payloads weighing five pounds or less, which Amazon said in its application covers 86 percent of the products it sells. Once established, the retail outfit expects the unmanned aircraft to travel at speeds of 50 mph or more. The project, which the company says it hopes to take worldwide, has already attracted robotics and remote sensing experts and, according to Amazon, a former NASA astronaut. AUVSI’s Gielow will be joining the team next month.